It seems our Indian Government is finally awakening to the steep decline India’s Tourism industry has faced this year. You may not be interested in this news, but I’m actually influenced by the way they are targeting the global tourism market to attract tourists. 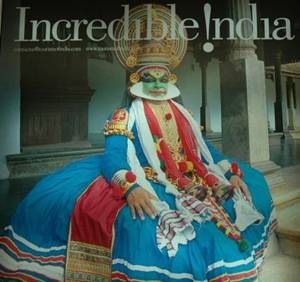 Tourism officials have decided to showcase “India Incredible” ads during Oscars, Grammy and BAFTA award ceremonies on E! Entertainment Channel. This is interesting, as these award ceremonies are watched by the whole world and attract influential artists from both cinema and music world. Moreover, if Indian ministry is able to catch few stars who could speak in favor of India during these ceremonies it would be an ‘icing on the cake’. Major pan European channels during renowned world events. Famous news channel, mainly during the "Talk Asia" programme. To attract ethnic Asian population. During World Economic Forum and the G20 summit. During the popular "Hollywood Bowl" held in Los Angeles in September. It will also feature during all road shows to be held in Moscow and St. Petersburg in September this year. Apart from road shows and television spots, the advertisements will appear in the in-flight magazines of all major international carriers. Looks like, this whole strategy is created by a very creative and experienced marketing team for Travel Ministry. Can E-Learning be a Game-Changer?